Originally, I was planning on an orange mani for #31DC2017 (Inspired by a Color). But the greatest number of untried polishes I have seems to be in the pink/red family so I picked Colores de Carol’s “Cupid’s Vacation” for my inspiration. 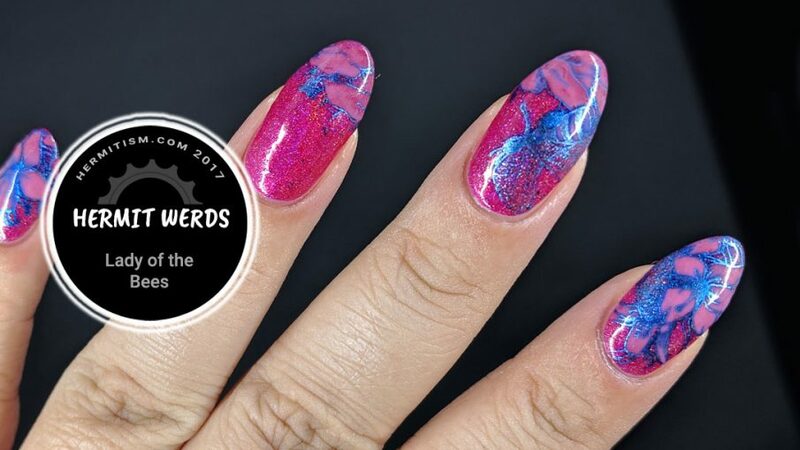 It’s this gorgeous pink holographic polish with a few metallic blue flecks. 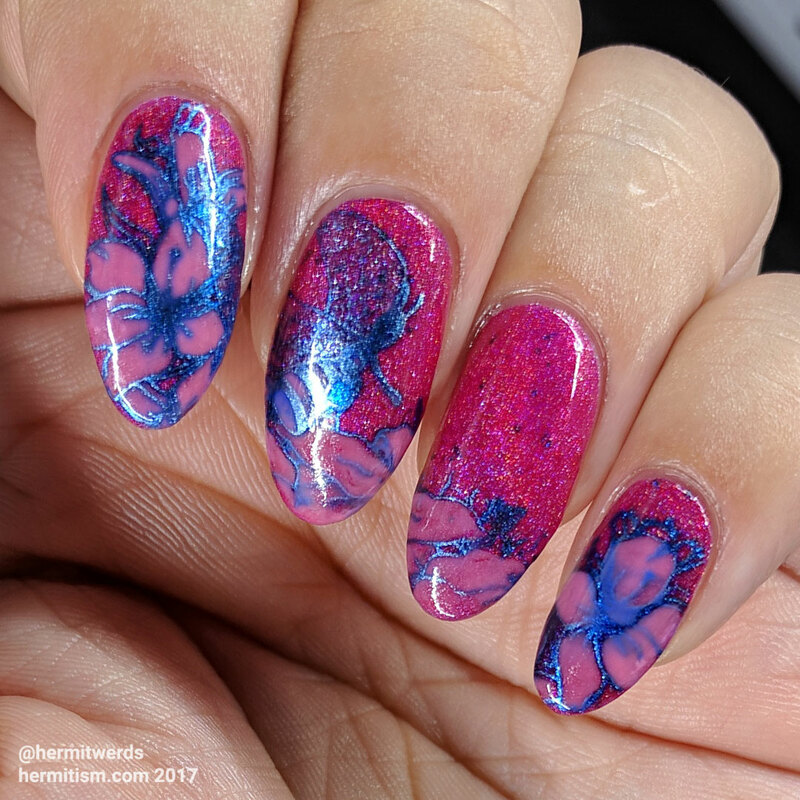 The flecks inspired me to do my stamping in blue. Then I took #NailsUnitedSeptChallenge prompt of Bee and this gorgeous image of a bee lady with a little bucket flying over the flowers from ZJoy’s stamping plate and that was my mani planned out for me. I found some loosely matching flowers on my Ejiubas plate and got to work. This really is such a lovely color. I’d say I can’t believe how long it’s taken me to use it, but then I know how much nail polish I have. 😉 You might wonder which pictures are truer to the shade. 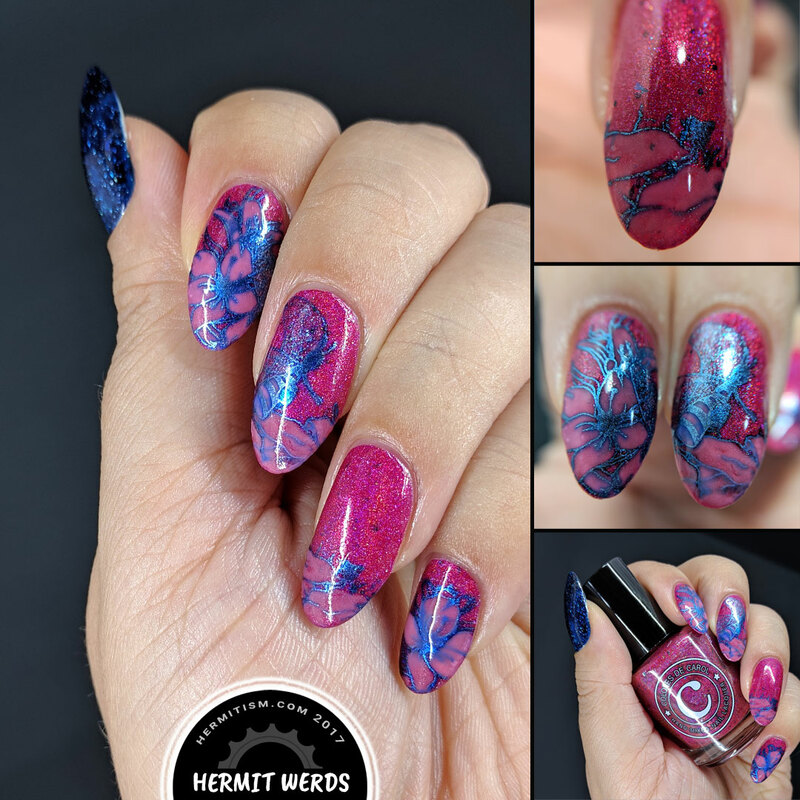 I’d say the cooler more magenta-leaning nails are what this polish looks like in artificial light and the macro shots that look warmer resemble the polish in daylight.